We’re passionate about the comfort and well-being of the horses in our care, and have built up a first class network of equine healthcare professionals, both resident at Hogholm and visiting. 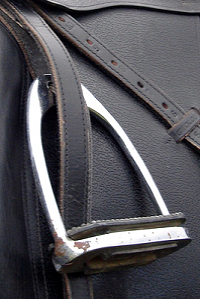 We’re proud to be agents for both WOW Saddles and SemiFlex Saddles, and offer refits and saddle trials in our excellent indoor or outdoor arenas. Schooling, clipping and show turnout services are also available on-site. 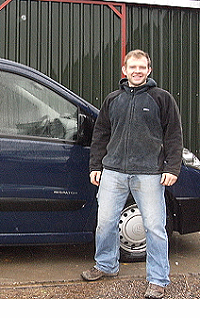 Several independent practitioners and firms consult at Hogholm Stables. We are fortunate to have regular visits from an Osteopath and a Neuro-Muscular Therapist. There are five local veterinary practices with Equine Vets, including one with a well-equipped Veterinary Hospital. 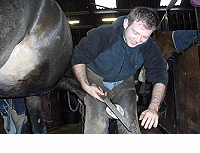 Five qualified Farriers, registered with the Farriers Registration Council, work here on a regular basis. The choice of who or which firm you use is yours; we simply ask that you inform us in writing which vet should be called out in an emergency, and that you have checked that your healthcare professionals are suitably qualified and insured. We do keep lists of vets, farriers, equine dental technicians, saddlers, physiotherapists and complementary therapists should you be new to the area or wish to find new healthcare professionals. However, as we happily work with all professional practitioners it would be inappropriate for us to recommend one over another.